Thank you so very much for remembering and following up that conversation ! 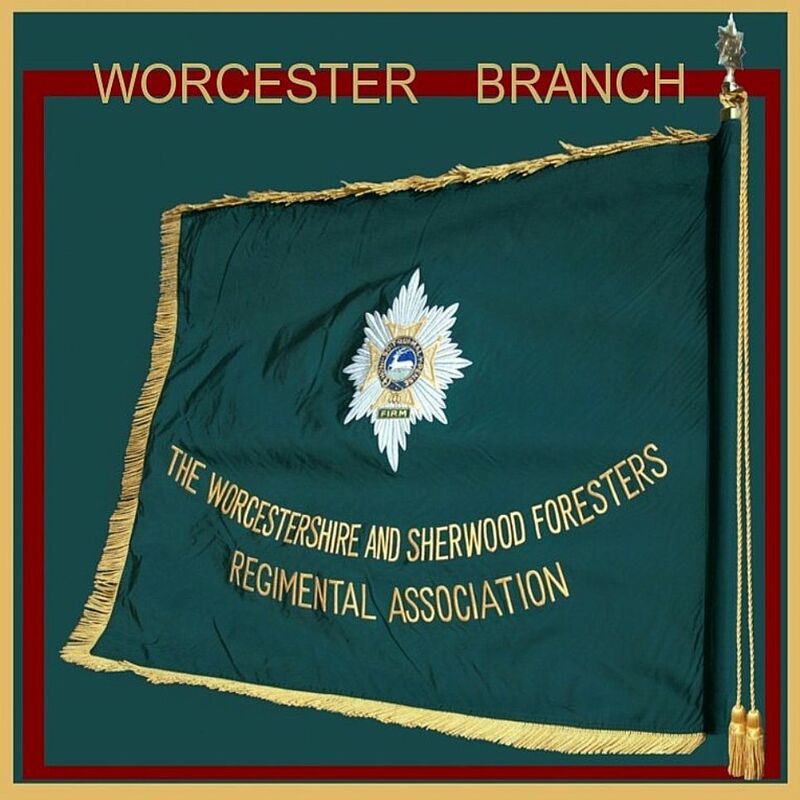 I was present but the chief "ferret" was, I believe, Ron Bubb of Kidderminster (KD hereafter) Branch of the WFRA. He is tall, greying and quite distinguished-looking with a military moustache and was a Bandsman in 7 Worc R (TA); a Company of the latter was always based in KD. He is our Branch Research Officer and was also the Archivist of the West Mercia Constabulary until fairly recently. He spent some time with me one day in Bromsgrove Library (where the Librarian was very obliging) trying to follow up his memories of the Dedication Ceremony of the BSA Memorial which he had attended. We came away with photostats of the Ceremony and BV Messenger coverage of the occasion. What a very neat way to "compile" a record of the Burma Dead ! Since we met last year I have been delving into the CWGC Cemetery listings for India and Myanmar and Thailand myself mainly because of the Worcesters' strong association with those countries and, until he died in December last year, on behalf of Eddy Lench, a 1 Worc R, WW2, NW Europe veteran whose brother was killed in Burma. Our 2nd (Regular) Bn was in India when that War broke out and were moved across to the Burma campaign and our 7th (TA) Bn went out by sea. There are 39 Officers, NCOs and soldiers of 7 Worc R buried at Kohima War Cemetery (India) and the widow of George Greenow (7 Worc R and Founder member of BSA), who lives locally to here, until a few years ago administered a Fund to have a Spray of Poppies with Foliage placed in that Cemetery each year together with a donation to TRBL's Overseas Remembrance Division at Aylesbury. She has now handed the balance of that Fund over to the KD Br of WFRA for us to administer until it runs out and it is audited with the Branch Funds. TRBL have sent us photos of some 7 Worc R graves in which it would seem the Spray has been moved from grave to grave because they all have it ! We are reminded each year of this commitment by TRBL in August and last year I specifically asked for the Spray to be placed on the 2nd Division Memorial with a TRBL Dedication Card mentioning both our 7th Bn and our 2nd Bn tho' I don't believe any of the latter Bn were at Kohima and they are scattered elsewhere in Myanmar and Thailand. The Indian Government will not allow any other "wreath" than TRBL's 'Spray of Poppies with foliage' to be placed in Kohima Cemetery. and, of course, Kohima which seem to correlate well to your findings. So far I have a few listings of Regimental Casualties at a few of these Cemeteries. One can get total on-screen listings of Casualties (as CWGC refers to the Dead, which I find confusing) buried at each of these. Along with the listings are a general description and history of the Cemetery with location and directions to it and, in some cases, very good photos of the Cemetery taken from various angles within. The Cemeteries are meticulously kept. I have oft wondered about the Apochryphal extract, "Their name liveth for evermore" and decided that this could not be so except for the lists on War Memorials and on the gravestones and memorials of the CWGC and the listings of deaths in service since 1945 on the National Memorial in the Arboretum at Alrewas ! Please excuse me if I am "carrying coals to Newcastle" ! Referring to your Peninsular War researches you might enjoy a conversation with our Col John Lowles MBE at Dancox House, Worcester who a few years ago visited the Battlegrounds of that War and gave an account in the Magazine. There is to be a lecture there on Thu 13th Mar (after the AGM) at 7pm by Lt Col Brian Clarke entitled "The 29th in the Peninsular War" in which you may be interested. Later, on Thu 22 May also at 7p, there will be an exhibition of recent acquisitions and objects from the store described by the Curator called Show and Tell including a Brown Bess musket from the Peninsular War and Waterloo. Col Lowles was responsible for the setting up of The Worcestershire Soldier exhibition in the Worcester City's Art Gallery which is well worth a visit if you haven't already been there. There are tableaux in chronological sequence from the earliest days of Farrington's and Charlemont's Regiments together with artefacts and weapons right up to recent/present times. Col John's contact details are :- Museum, Tel :- 01905 721982 (Mon - Thu 0830 - 1630). The above details are shared with our newly appointed Museum Curator, Dr John Paddock. Regimentally, in connection with the WW1 Centenary Commemorations nationally, we are concentrating on The Battle of Gheluvelt ( Belgium ) shortly after the outbreak of WW1, on 31 October 1914. Our local WFRA Br had planned a visit this year to the Imperial War Museum in search of the Bromsgrove BSA volumes but it is partly closed because of impending rearrangements heavily featuring WW1 so you can judge how glad we are to know that they are in the National Army Museum. We have, provisionally, agreed to go to Manchester's IWM instead. Thank you also for the generous offer for a Branch WW2 Veteran to go to Holland this year. Our branch has only Barry Freeman 1 Worc R but he has emphysema and is not active (living alone because recently widowed) until mid-morning. However he has a married daughter living nearby who shops and "does" for him so I shall gladly inform him of your very kind offer. Our next Branch meeting is on Sun 2 Mar when we shall be able to review your email so thank you for all your interest and hard work. Naturally I have already telephoned Ron Bubb about it ! First and foremost I trust you and the Branches are well. Maybe last year or even the year before’s VJ Parade I had a conversation with one of you or a branch member who was asking me of the whereabouts of volumes/registers of men lost in the Burma campaign. I knew something of the books, in that I had been told of them and had seen a photograph of a couple of branch members presenting them to a museum. As both the members are now deceased I was a little lost. I asked the current members and the widows if any of them remembered them. I established who disposed of them but that’s about all. When sorting out my filing lo and behold I found the enclosed photograph. I visit the National Army museum fairly frequently to research the military- mainly Wellington, Waterloo and the Peninsular War. When down there I inquired as to the volume(s) and who was on the photograph. At first I received a nil return, however I was down there today and fed the photograph and e-mails back into their system. They found the registers. They are in fact copies of the cemetery registers from Burma, of course listing all those lost in the campaign. 1939-1945 The War Dead of the British Commonwealth and Empire. So at last we have found out what happened to them and where they are, complete with a presentation dedication from Bromsgrove Branch of the BSA. If you haven’t already found the information you need than when am next down at the NAM, I would be pleased to photostat any information you require. Do you have any WW2 veterans who served in Europe in your branches who would like a free all expenses paid trip the Holland from 3 to 6 May 2014 travelling in London Taxi, I ask. They would be able to take the wife or a carer.